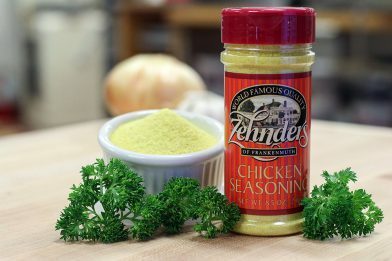 Bring that authentic Zehnder’s flavor into your own home with our very own Chicken Seasoning. Our Chicken Seasoning is gluten free and contains no MSG. 8.5 oz. Bottle. 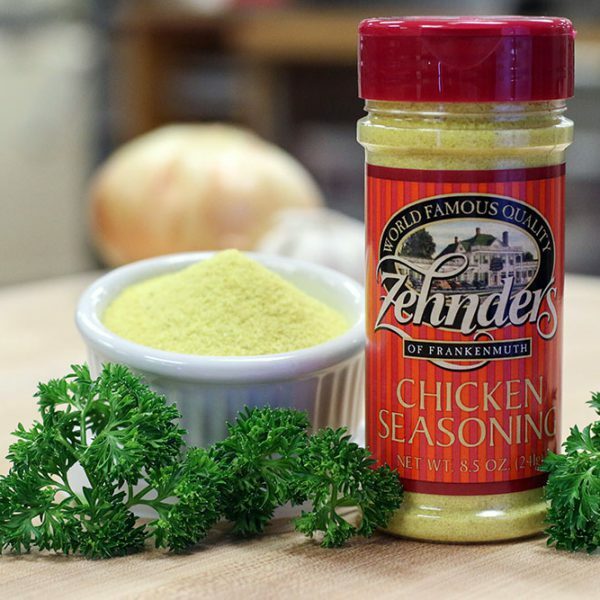 Bring that authentic Zehnder’s flavor into your own home with our very own Chicken Seasoning. 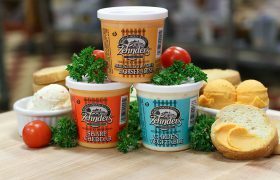 Zehnder’s Chicken Seasoning is gluten free and contains no MSG. 8.5 oz. Bottle. 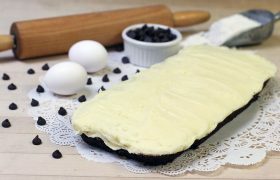 Back in the early 1950’s, brothers Tiny & Eddie Zehnder came up with a special recipe chicken seasoning to set themselves apart from everyone else. 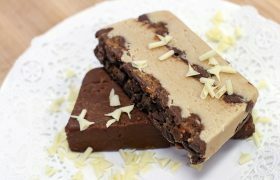 Pretty much trial and error until they got it just right! 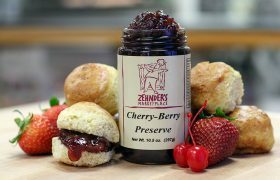 The distinct flavor is still very much a part of every piece of chicken served here at Zehnder’s Restaurant. Some years back, we removed the MSG but other than that; it’s the same. Funny, we call it ‘chicken seasoning’ but in our production kitchens, we use it on most everything. 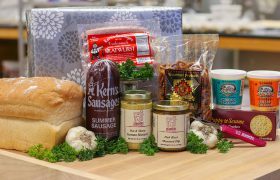 We’ve added other flavored seasonings recently and even reintroduced the original recipe seasoning for those who still prefer the full “spike” of MSG. 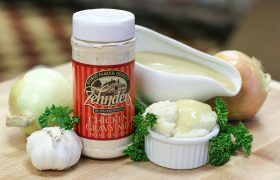 Make Zehnder’s delicious Cream of Chicken Soup with Zehnder’s Chicken Seasoning. 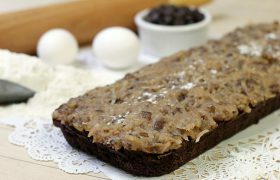 You can purchase the recipe here. 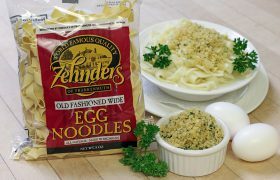 Be the first to review “Zehnder’s Chicken Seasoning” Click here to cancel reply.